Babcock-Davis' Fire-Rated Floor Door is designed to contain a fire from penetrating through the opening. 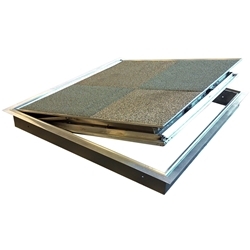 This floor door is reinforced for pedestrian traffic loads and features a pan that accepts carpet or vinyl tile. Interior applications only.